Yesterday, I just felt the need for that satisfaction that comes from finishing something. So, after I finished the quilting on the Oz quilt, I pulled one of my quilts that has been waiting on binding, Greg’s courthouse steps quilt. The sad part, is that this one was Greg’s Christmas present last year. Well, at least he will be using it before Christmas this year. I did the binding completely by machine, so I could get it all done in one day, plus added the label. 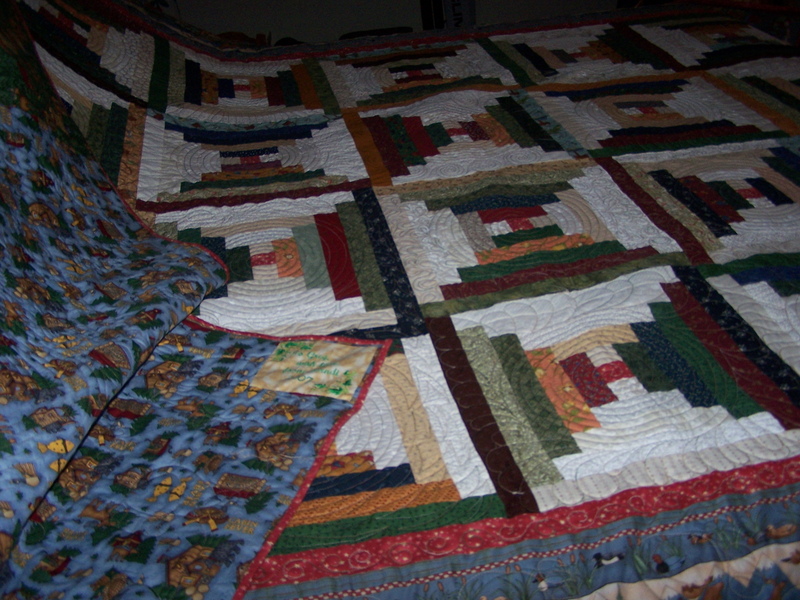 I much prefer to attach my binding to the front of my quilts, by machine, then do the finishing stitching to the back by hand, because they look so much better. I do a good job on those. This one, I attached to the back, by machine, then flipped it over, and stitched it to the top, also by machine. This is a technique I am still trying to perfect. But in this case, done is good, hubby is happy, and so am I. That gets two of my w.o.b.’s done this month. Woohoo! I used 2/3 of a yard for the binding, and that is my stash busted amount for this week. Total incoming for the week is zero. YTD total busted is 5 & 5/12 yds. (I’m not ashamed to admit I had to use a free online fraction calculator to come up with that amount…lol). 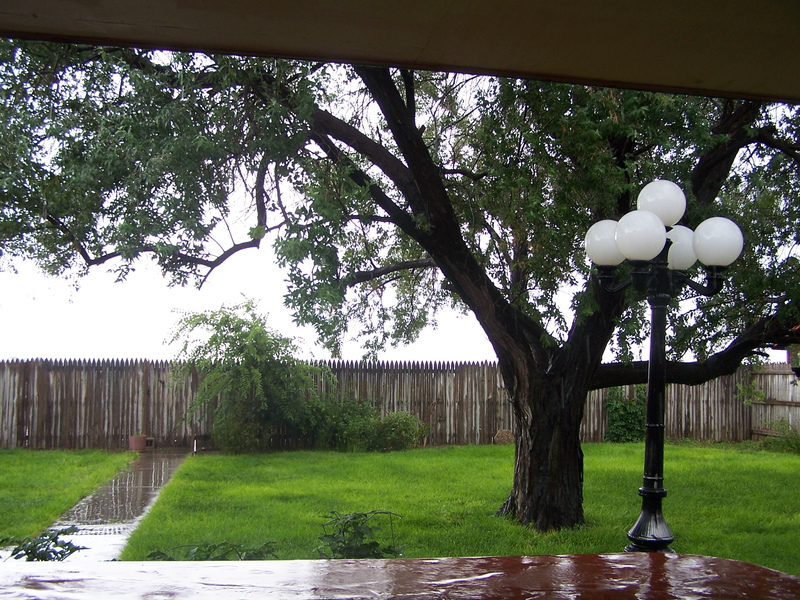 I woke up to a beautiful, rainy day this morning. And it has not stopped. I’m loving it! I’m piddling around on laundry, worked on the memorial quilt, and just enjoying some down time. I’m having the next best thing to a pajama day. 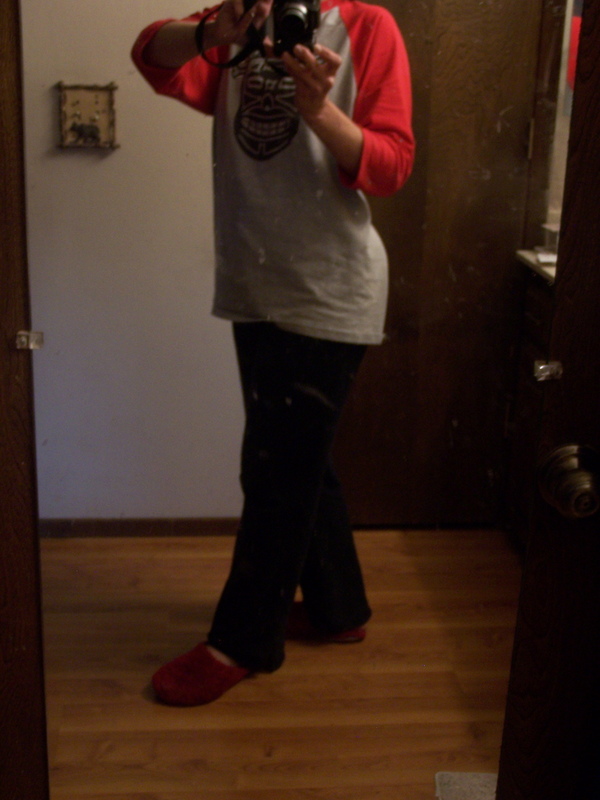 Nice comfy sweats & a big, sloppy t-shirt, with fuzzy house shoes day. Yesterday, was cool & cloudy. I’m glad I got out to the garden to harvest. Who else has really enjoyed watching Michael Phelps make history? I am officially now a Phelps Phan. He seems like such a nice guy. Congratulations, Michael! 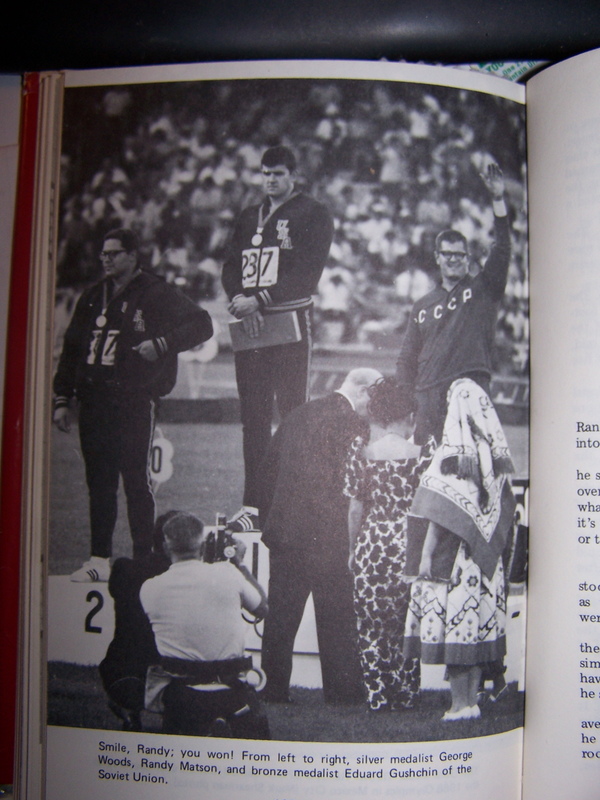 I conclude my post today, with a couple pics of the first Olympic hero in my life. My Uncle Randy, another really nice guy. 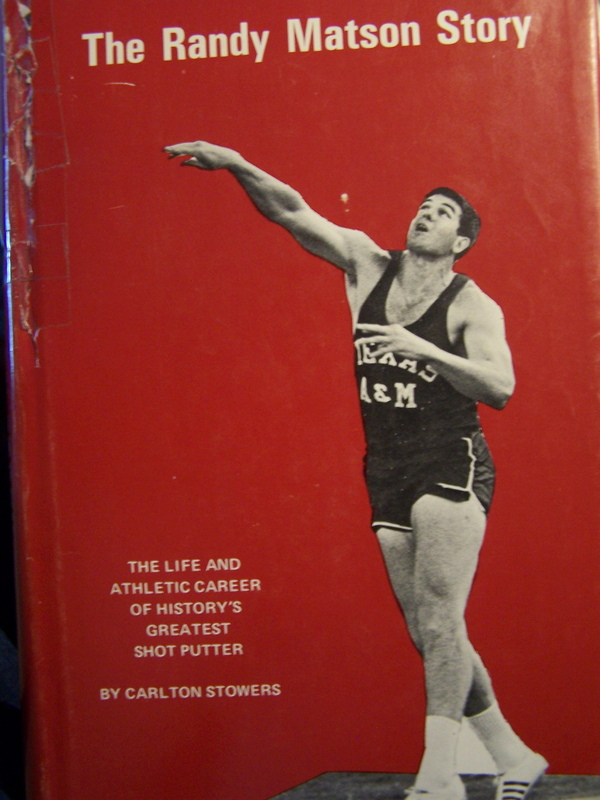 I was born in 1966, right between his Olympics, and named after him. I had asthma really bad, and would get so sick at times. He would come over sometimes, and sit up with me at night, when I was a baby, so my parents could get some sleep. This post has been quite a hodge podge of topics! Hope you are enjoying your Sunday as much as I am mine. Wow, Randi, what a good day you are having. I love your harvest. Those tomatoes looks so good. How awesome to have an uncle who won in the Olympics. Please, please send some of that rain here! Congrats on the big finish! The quilt looks great! love the concentric circles and the feathers and leaves. The tomatoes look yummy. 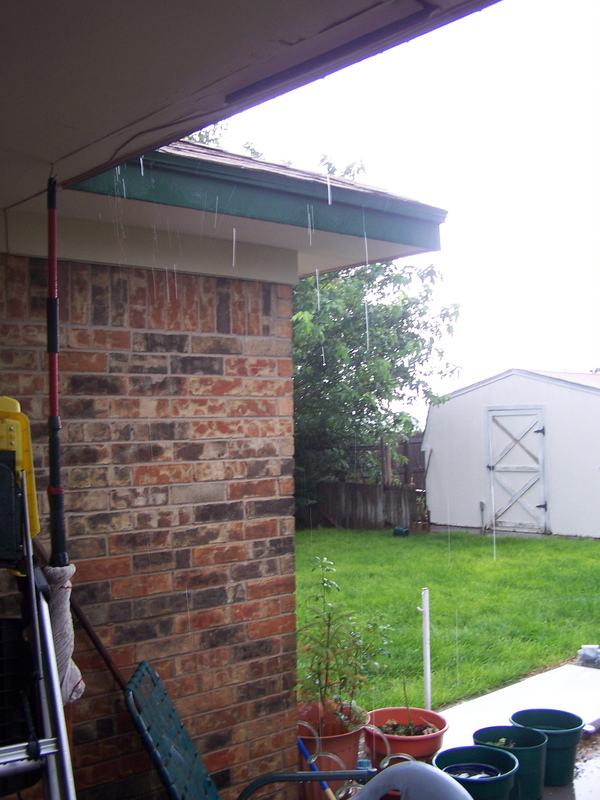 It just started pouring here…one of the outer bands of Fay…good thing we spent the day putting up shjutters and moving furniture and plants…tomorrow will be wetter still. Looks like slasa in the making – great harvest! We are getting rain, also. And we desperately needed it. Hope it continues for a couple of days! Love the Wizard quilt – you did a great job on it! Love your uncle story, too! I’ll be over for salsa and to oogle the quilts. Do you have guest slippers?!! 😀 Great work this weekend. 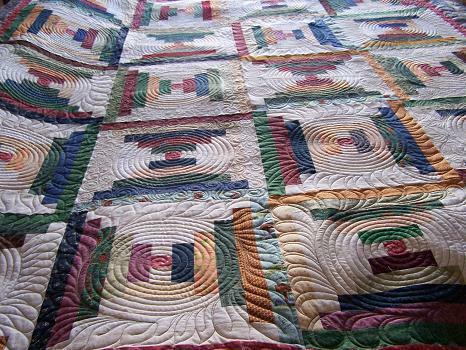 Another beautiful quilt for sure … and I envy your rain. We got a whole 5 minute thunderstorm today ….. then it was gone. We need it, too …. but not as much as Fay will give Florida, thank you. Love your harvest. Even tho’ I don’t eat those particular veggies, I love the smell of them. The next time you do a binding by machine, go ahead and attach to the front, flip to the back and SID from the front again! Try it, you’ll like it ! Much neater than top stitch on the front of the quilt. 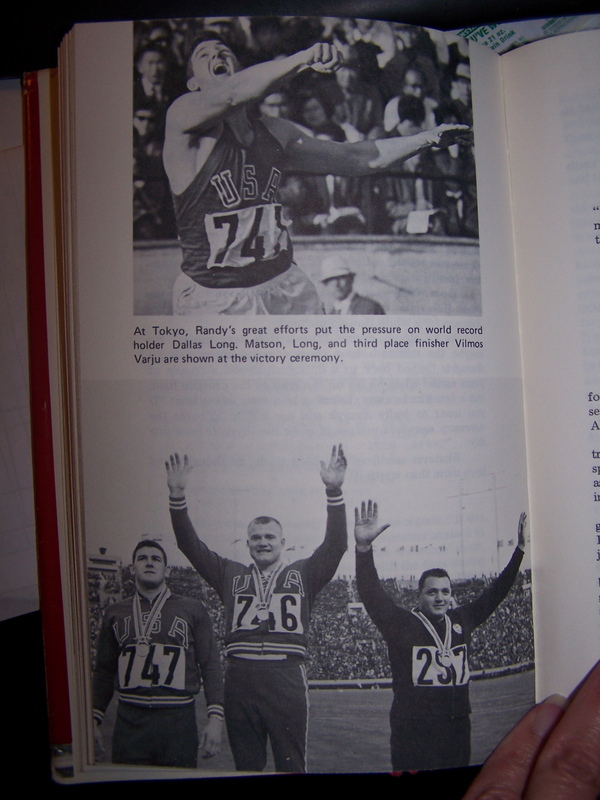 How neat to have a family member who won Olympic medals – and yes, we’ve been watching and cheering Phelps and all the Americans. I love the Courthouse Steps – I always stitch my bindings to the front and sew them down by hand too – I think I’ve only tried one by machine when I was first quilting and didn’t like the results. I’m impressed by your stash busting. Slow at times, but relentless! 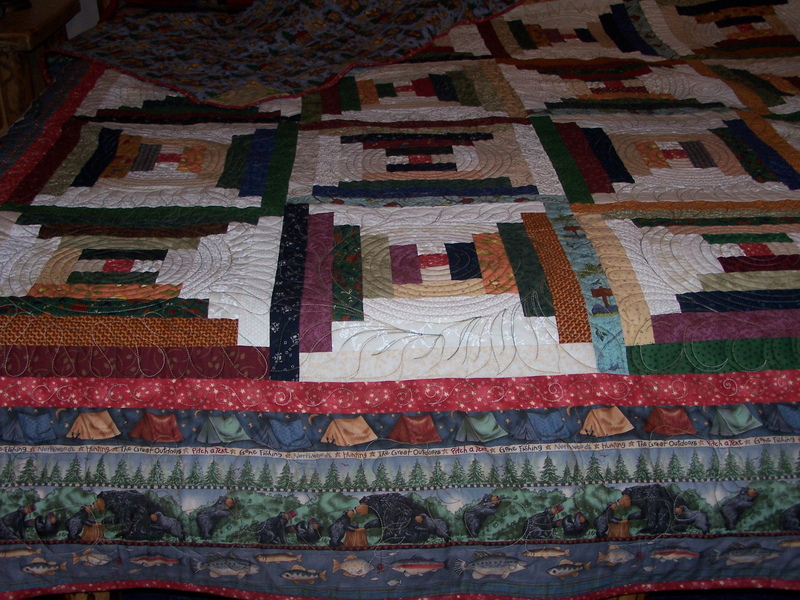 : ) DH will be happy with his new quilt; any kind of log cabin is a favorite of mine. Soooo envious of your rain; it’s just something we don’t get here in southern California. Of course, we don’t have a lot of summer humidity, either! i’m going to have to show this post to my hubby…he’s a track guy. so cool to have an uncle who is an olympian. totally cool! love days like you described…comfy clothes and a rainy day! « We’re off to see the Wizard!